I remember the old Library in South Benfleet. It had a stone path leading up to wooden doors, with grass either side hiding a clump of four leaf clovers. I believe that hooks and eyes secured the entrance doors back and passing through them, a short corridor led up to a set of square paned glass doors which opened with a swish as you walked through into the book-lined room and it was like walking into another world. There was a hush, an air of propriety and the presence of the Librarian. In the centre of the room there was a large table and chairs for browsing and there was an ‘In’ desk and an ‘Out’ desk. In the summertime the sun would slant through the windows pooling in warm patches on the waxed wooden floor. In the winter it was warm and welcoming from the cold. I remember the comforting mustiness, the quiet tread of the Librarian, the satisfying click as the out going books were stamped, the soft thump as each book was closed with respectful care. This was a place of peace with politeness wafting through the air. Mr Ken Deacon, the Librarian, and his Library played a far greater role in my life than either he or I could have imagined. I remember him as angular and thin with straight black hair. He was always ready with a smile but took his position very seriously and was a highly respected member of the village community. I would see him on my way to school some mornings, a distant figure walking across the recreation ground to the Library, with his brown paper bag of mushrooms, freshly picked. He always had time to speak to me despite my young years. He was interested in the books I chose and when he suggested that I moved my reading on from the childish pictorial style with few sentences, to an older book filled with text, I objected. He placed in my hands the first in the ‘Famous Five’ series by Enid Blyton, Five on a Treasure Island. I was filled with doubts but he gently pulled away my picture story books. ‘I want you to read it and then come back … tell me if you like it.’ I was amazed that he had noticed what I was reading and even more surprised that it mattered to him. He was quite a lofty personage in my mind and it was this that decided me. Although unenthusiastic, I would give it a try. I opened the book which was so full of words but I began to read. My imagination sprang into life and I became absorbed. As soon as the Library opened again I rushed back and found him. ‘The book is so good but I’ve finished it now … it’s gone.’ I was so disappointed. He smiled and led me over to a shelf, ‘here is another story by the same author with all the same characters and there are many more different stories about them. Remember where the shelf is.’ I romped through the Famous Five series and it finally came to an end. He was at hand, ‘try reading a different author.’ Again with misgivings I followed his advice and the world of reading opened up to me and I flourished. My nose was ever buried in a book and time moved me on through to the great classics, which delighted me with their quality of prose. 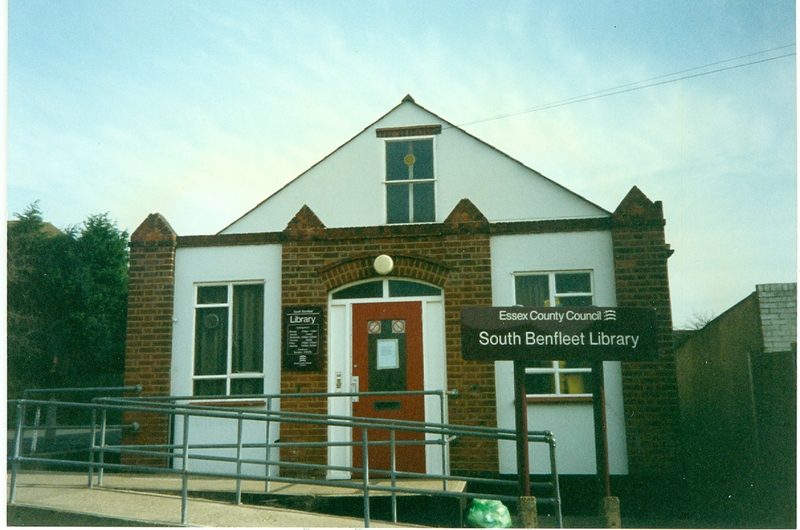 My older brother reminded me that South Benfleet Library only opened four days a week at one time in the Fifties. The local school used it as an additional classroom and he can remember attending lessons in there, with an easel and chalk standing in the corner. He also recalled Mr Deacon writing sentences at speed backwards on pieces of card for the children. The sentences would appear as gobbledygook but when held up to a mirror, they read perfectly – ‘Happy Christmas’ or some other phrase. My brother had a similar experience to me regarding guidance with his reading. My brother said that we were only allowed to take out two books at a time. He was reading at such a pace that he would seek out the Librarian, who on his days off would collect the money for the local Lawn Bowls Club. 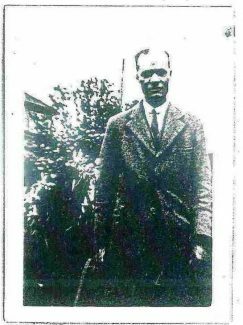 In exchange for my brother cycling to get him a newspaper (for which Mr Deacon provided the money), he would allow him to use the key to go in and change his books on the closed days. This was an enormous privilege for my brother and it was good for a boy in his teens to have such trust placed in his integrity and capabilities. In the Sixties we moved to Westcliff-on-Sea. It too had a Library, which was pleasant and modern, with smooth polished wood, big windows and spacious tables with new padded chairs. The Librarian was a remote figure. Whilst studying for my English degree as a mature student, one of the modules was Children’s Literature. One day the tutor asked each student whether they had regularly attended libraries, and had there been a particular childrens’ author who had sparked their interest in English – the year was 2005. The author who had influenced the majority of the students was Enid Blyton. Though frequently criticised for her grammar, academics appear to recognise her value in stimulating interest in reading and literature. My brother and I believe that Mr Deacon realised this. Both my brother and I have gone on to gain English degrees and we both feel that it was Mr Ken Deacon who opened up the world of literature to us. My mother was an avid reader and introduced us children to the library as soon as we could read. 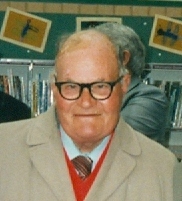 We went every week from the mid 60s to change our books, and it was always Mr Deacon who served us. He would ask after mum if she was not with us, and Toby our dog. Mum said she remembered Mr Deacon at the library when she was young, so we thought him very old! 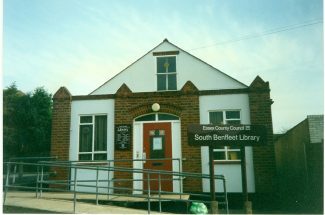 Later on, in 1976, I became a Saturday boy at the Benfleet library – but only for a few weeks because I was moved permanently to Canvey Island library where I stayed until 1978 when university beckoned. 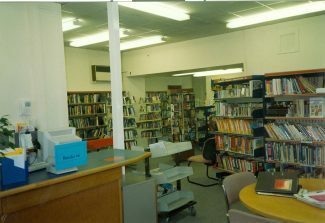 Benfleet library had two little rooms either side of the entrance hall, that the public did not see. One was a rest room for our breaks, and where books were repaired. The other held a loo. Neither was luxurious!